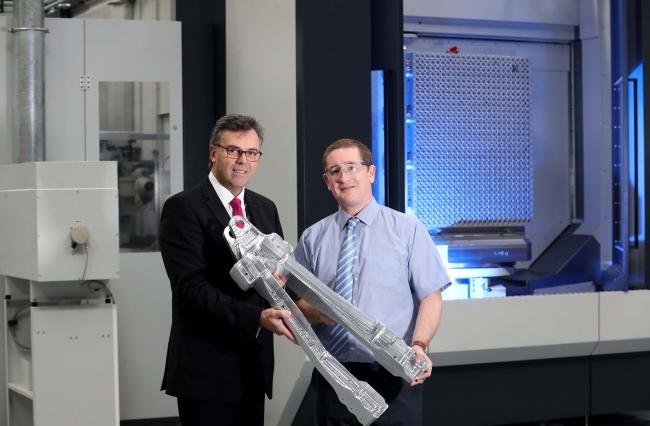 Northern Ireland based Moyola Precision Engineering has announced it is investing over £10million over the next four years to expand its capabilities, in a bid to become a global supplier in the aerospace sector. Invest Northern Ireland is offering Moyola £1million towards its investment in building adaptions, new manufacturing equipment and ICT. The company hopes to generate £12.4million of additional sales and recruit 50 new jobs by 2021 as a result of the expansion. Moyola provides sub-contract services to the aerospace, transport, material handling, defence, medical devices and IT industries. It currently employs 120 people at its premises in Castledawson. Mark Semple, Managing Director of Moyola Precision Engineering said: “We want to make Moyola a global supplier in the aerospace sector and this investment in new technology will drive efficiencies across the business and enable us to target new aerospace programmes. “The £12.4m of additional sales and 50 new jobs we hope to secure over the next four years as a result of this investment will demonstrate our progress along this trajectory. Invest NI’s Chief Executive Alastair Hamilton added: “This is the largest investment Moyola has ever undertaken and is a clear signal of the global ambition of this family business. “This precision engineering firm contributes significantly to Northern Ireland’s dynamic and rapidly growing cluster of companies engaged at the leading edge of advanced aerospace design and manufacturing. “Invest NI’s ongoing relationship with Moyola as a trusted business partner provides a catalyst for Moyola’s continued strategic development. The £1million offer of support is enabling the company to introduce new capabilities including titanium machining which in turn will help leverage new jobs and additional sales.